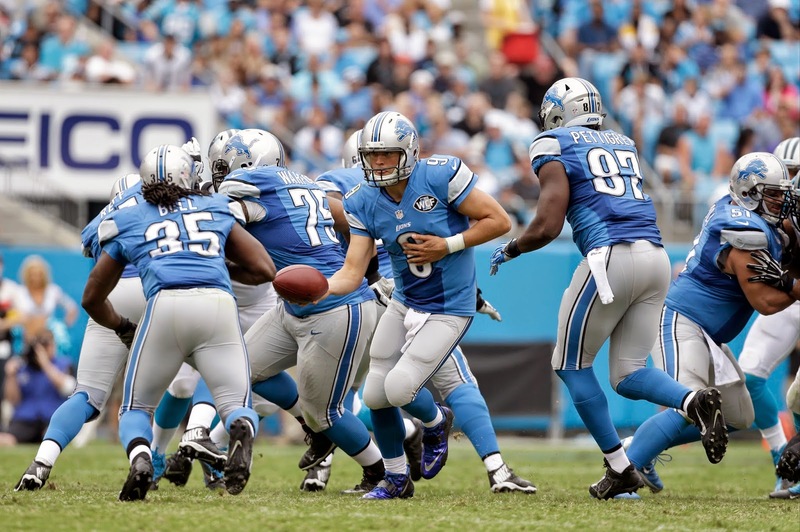 ALLEN PARK — The Detroit Lions are atop the NFC North with a 3-1 record after Sunday’s win over the Jets. A good start, but just a start. With a big win over the Bears on Sunday, the Packers are 2-2 which matches the records of the Bears and Vikings. The NFC North is the only division where all the teams are at least at .500. “This is a very, very difficult division, everybody within this league is tough and they all have very fine quarterback play and not only that, they can play defense as well,’’ Caldwell said, “And the (coaching) staffs we have to operate against are very good, experienced, capable. “It’s going to be very competitive. I think everybody kind of felt it was going to be that way before the start of the season and it’s certainly playing out that way,’’ Caldwell added. The Lions are 1-0 in division play with a big win against the Packers on Sept. 21. The next NFC North opponent the Lions face will be the Vikings at Minnesota on Oct. 12. The Vikings play at the Packers on Thursday night. The Bears play at the Panthers on Sunday. The Lions host the Buffalo Bills on Sunday at Ford Field. ALLEN PARK — Jim Caldwell is consistent about not discussing injuries to his players. He stayed the course on Monday during his press conference. The Detroit Lions coach was the most forthcoming on Matthew Stafford who was limping after the 24-17 win over the Jets on Sunday. 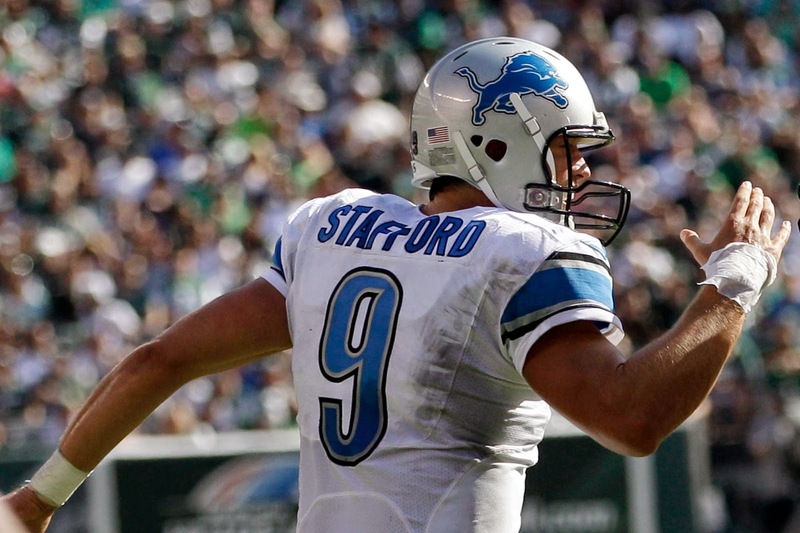 “He’s OK,’’ Caldwell said of Stafford who was sacked four times. Running back Joique Bell left the game in the third quarter with a possible concussion. He wasn’t allowed to talk to reporters after the game which is the protocol when players have been diagnosed with concussions. Caldwell would not comment other than to suggest looking at Wednesday’s injury report for more information on Bell. Also Theo Riddick and Montell Owens could not finish the game with hamstrings. 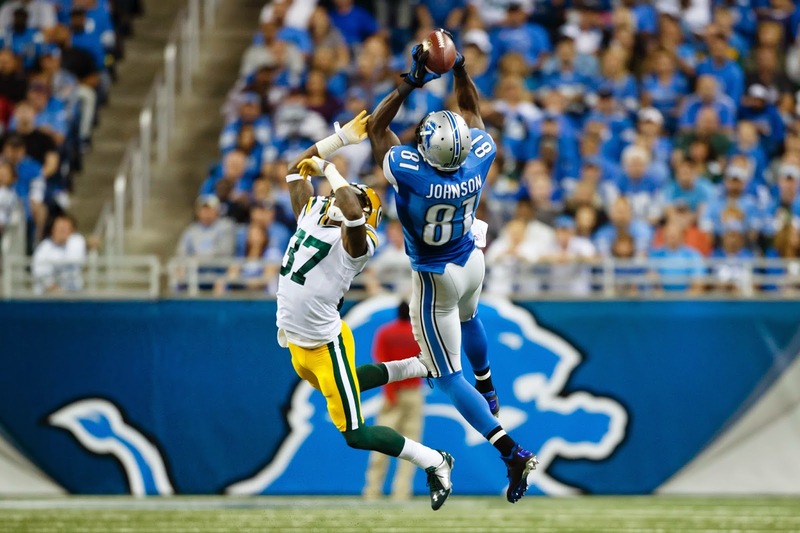 Calvin Johnson (ankle) was on the field for just 37 snaps (57 percent). He told reporters afterward that he had progressed throughout the week last week and expects more improvement this week. Also Caldwell would not address the ESPN report that Ndamukong Suh wants out of Detroit after this season and is targeting the New York market. "It might be important to you but I'm not going to address it at this time,'' Caldwell said. It took a while for James Ihedigbo to show Lions fans exactly what he is all about. With no signs of rust, the strong safety played his first game this season and his first regular season game with the Lions in the 24-17 win over the Jets on Sunday in New Jersey. Ihedigbo finished with five tackles, a sack and a forced fumble. This hard-hitting veteran gave an immediate boost to a secondary that has had more than its share of injuries in the first three games. Ihedigbo — known as Diggs to his teammates — has been out with a neck injury, itching to get in. While Isa Abdul-Quddus did a nice job filling in for him, Ihedigbo is the guy. He is a difference maker, a leader and he is just getting started. In a tough road environment, against the Jets who had the second-best defense in the NFL, the Lions pulled out a huge 24-17 win. Detroit now 3-1 alone atop NFC North. 1. Reggie Bush late in the game, with Joique Bell out with a possible concussion, had to run the ball and he did including a 16-yard scamper on a second-and 5 late in fourth. He stayed in-bounds to keep clock running. He had 12 carries, 46 yards and four catches for 19 yards. 2. Matthew Stafford was sacked four times, but still managed a good game. He ran in for a touchdown and had six carries for 8 rushing yards overall. Don’t call him Cam Newton, but when needed he proved he can run. He finished 24-34, 293 yards, two touchdowns and zero turnovers. 3. Golden Tate took over with Calvin Johnson not 100 percent. Tate finished with eight catches for 116 yards. A key play of the game was Tate's third-and-10 conversion in the third that kept a 90-yard scoring drive going. Lions wide receiver Calvin Johnson, who missed practice on Wednesday and Thursday, will start and play today against the Jets at MetLife Stadium, per multiple reports. Johnson was able to practice on a limited basis on Friday. He injured his right ankle in the win over the Packers last Sunday. Wide receiver Ryan Broyles is active for the first time this season with the absence of tight end Joe Fauria who injured his ankle in a freak fall on Wednesday night. Also, as expected, safety James Ihedigbo will play his first game this season. The veteran safety, who is coming off a neck injury, will start alongside Glover Quin. Garrett Reynolds will start at right tackle for the third straight game. But expect to see rookie Cornelius Lucas rotate in throughout the game. No surprises among the other inactives: LB Travis Lewis, CB Cassius Vaughn, DE Larry Webster, RT LaAdrian Waddle, QB Kellen Moore and safety Don Carey. Kickoff is at 1 p.m. today for the Detroit Lions (2-1) at the N.Y. Jets (1-2) at MetLife Stadium. 1. 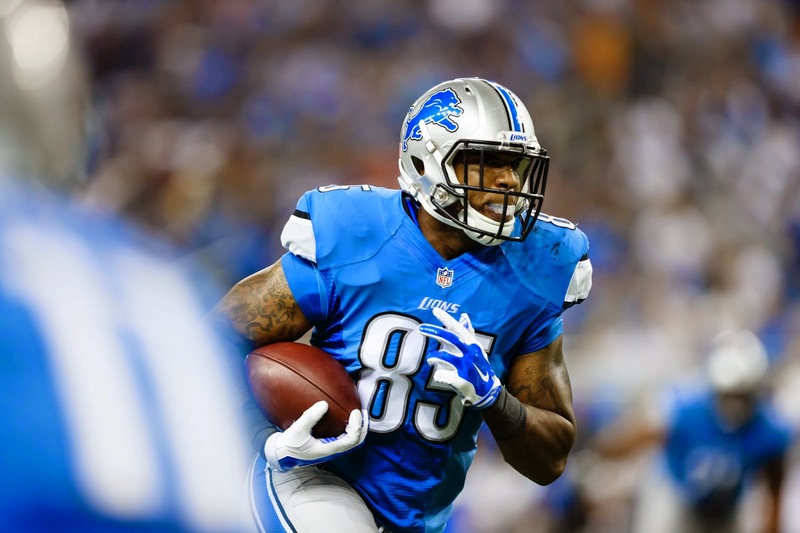 Tight end Eric Ebron is expected to see more action with Joe Fauria out with an injured ankle. Ebron has been third on the depth chart at tight end and has just three catches in his first three games. It’s not that the coaches have been disappointed in him, it’s just that there’s only one football. Offensive coordinator Joe Lombardi said this week that he’s blocking better than most people thought he would. Lombardi also expects big production out of him eventually. 2. Safety James Ihedigbo will play in his first game for the Lions. The hard-hitting veteran was impressive in training camp and the preseason. Wouldn’t be surprising to see him become a fan favorite. He should start today although coach Jim Caldwell would not confirm that he would earlier in the week. Isa Abdul-Quddus stepped in and played well in Ihedigbo’s absence. 3. Kicker Alex Henery has taken over for rookie Nate Freese who got off to a slow start (three-of-seven in field goals). 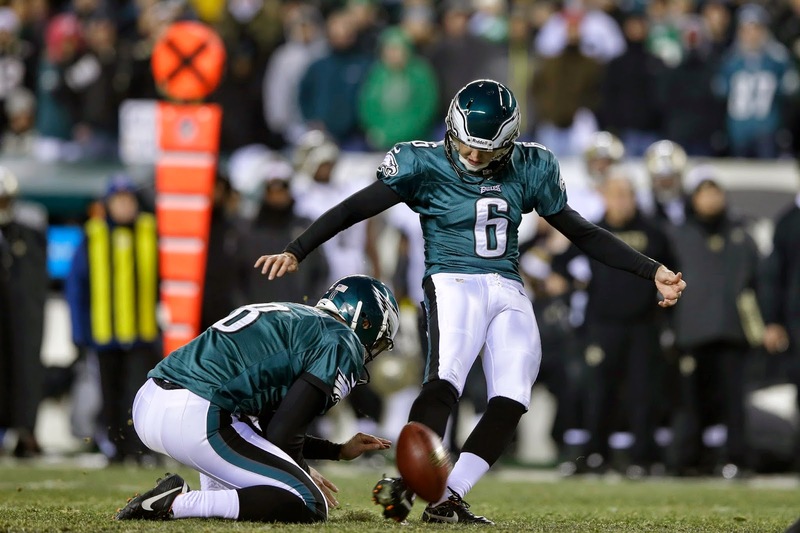 Henery, who played the last three seasons with the Philadelphia Eagles, has had success at MetLife Stadium where he was five-for-five in field goals in a Week 5 game there last season from 40, 27, 29, 36 and 41 yards. 4. Linebacker Tahir Whitehead will start in the middle in place of Stephen Tulloch who is out for the season after tearing up his knee in the win over the Packers. Whitehead will have the microphone in his helmet and get the defense set for each play. He’s confident and so are his coaches. He played well after Tulloch’s injury last week. 5. Linebacker DeAndre Levy has been on fire in the first three game. Why watch him? Because it’s amazing how much of the field he covers. ALLEN PARK — Matthew Stafford was driving one of the first cars to approach a bridge that had collapsed over the Southfield Freeway about 5:50 a.m. on Friday. “You don’t expect to see that when you’re driving to work, but I’m sure there were people closer than I was,’’ the Lions quarterback said after practice. A trash hauler heading north had hit the Cathedral Street pedestrian bridge. When it collapse it blocked traffic north- and south-bound. The driver was killed. “I was probably, I would assume two to three minutes behind it. When I was pulling up there were a few people sneaking through the underpass on the shoulder,’’ Stafford said. “Soon after the police came from behind me, I turned over (to the shoulder) to let them do their thing. They cut everybody off after that and ran over to him (the driver), and I hung out,’’ Stafford said. Stafford contacted Elton Moore, the Lions’ director of security, asking, “You got any options?’’ and he figured something out. Moore got to the service drive near the incident, found Stafford and gave him his car keys so Stafford could get to work. Moore stayed with Stafford’s Range Rover and eventually drove it to the practice facility which is a few miles south of the incident. Moore said as they were walking away, people were shaking their heads at the scene on the freeway and a few of them recognized Stafford. That’s a normal time for Stafford to be driving to the facility where he works out or studies game film in the early morning hours. His parents, who live in Texas, texted him when they heard the news and wanted to make sure he was OK.
Coach Jim Caldwell had passed through that stretch 15-20 minutes before the collapse. 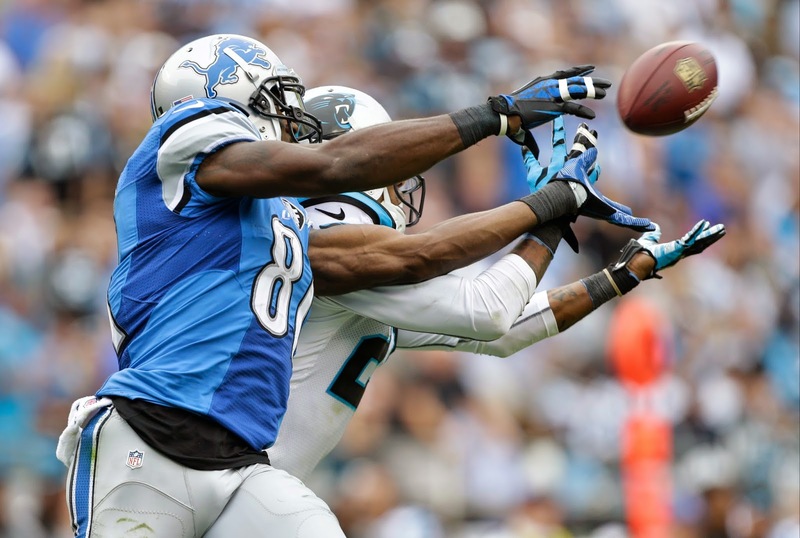 ALLEN PARK — Calvin Johnson returned to practice today (Friday) after missing the previous two days. 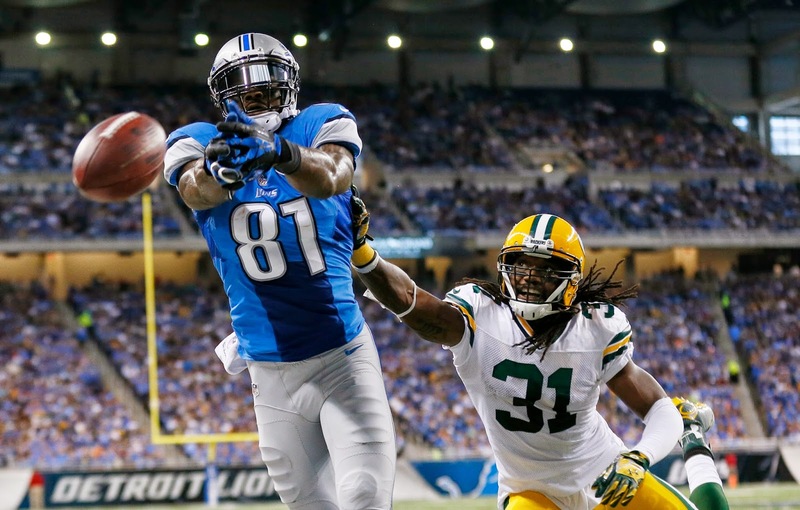 The Lions wide receiver injured his right ankle in Sunday’s win over the Packers. He participated in the portion of practice open to the media. It’s unknown if he was able to have a full practice. Tight end Joe Fauria, who has a non-football related ankle injury, did not practice. Also missing were safety Don Carey (hamstring), cornerback Cassius Vaughn (ankle) and linebacker Travis Lewis (quadricep). ALLEN PARK — Jim Caldwell would not offer any news this morning on the ankle injury to tight end Joe Fauria. The Lions coach announced on Thursday that Fauria had injured his ankle in an “innocent” incident at his home on Wednesday night. If Fauria is unable to play on Sunday at the N.Y. Jets, the Lions could make a roster move to bring tight end Jordan Thompson up from the practice squad. — No status update from Caldwell on Calvin Johnson who didn’t practice on Wednesday and Thursday with an ankle injury. If Johnson can’t play on Sunday, look for Ryan Broyles to be play in first game this season. — Captains for Sunday’s game at the Jets will be Brandon Pettigrew for offense, Glover Quin on defense and Ashlee Palmer on special teams. 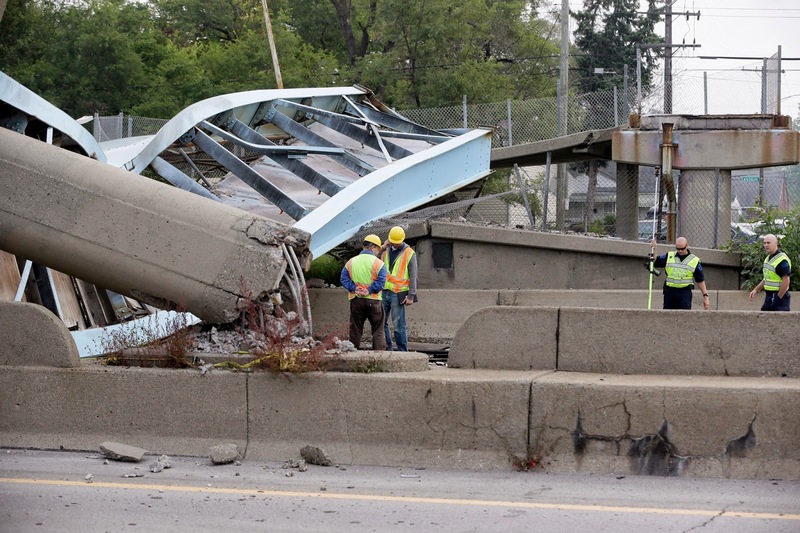 — Matthew Stafford just avoided injury this morning when a pedestrian bridge collapsed onto the Southfield Freeway. Stafford’s Range Rover was the first to stop behind the collapse. Caldwell said several other players and coaches were delayed by the fatal accident. Caldwell said he and defensive coordinator Teryl Austin had missed the bridge collapse on the Southfield Freeway by about 20 minutes this morning. ALLEN PARK — Lions quarterback Matthew Stafford just avoided injury this morning when a pedestrian bridge collapsed onto the Southfield Freeway. Stafford’s Range Rover was the first to stop behind the bridge that was down, blocking all traffic in both directions. Stafford was on his way to the Lions practice facility about 5:45 a.m. when the Cathedral Street overpass collapsed after it was hit by a garbage truck. The driver of the truck was killed. Stafford called Elton Moore, the Lions director of security, who made his way to the scene using service drives. Moore’s cellphone photo showed police cars next to Stafford’s Range Rover. Moore gave Stafford the keys to his car so he could get to work and stayed with Stafford’s vehicle and drove it back to the facility. Moore said as they were walking away from the incident, people were shaking their heads at the scene on the freeway and a few of them recognized Stafford. Moore said that Stafford was the only Lions’ player affected by the fatal accident which is a few miles north of the practice facility. ALLEN PARK — Lions’ Calvin Johnson, who has an ankle injury sustained in Sunday’s win, missed his second straight practice today (Thursday). “Anytime that someone doesn’t practice, in particular when it’s not just a day of rest which we would indicate on the medical report, there’s always some concern,’’ coach Caldwell said before practice. — Lions tight end Joe Fauria twisted his ankle away from the practice facility on Wednesday night and will not practice Thursday. Coach Jim Caldwell made the announcement in his pre-practice press conference. I said it was an “innocent” thing around the house and mis-stepped. Caldwell said Fauria was undergoing tests including an MRI and he’s uncertain if he’ll be able to play on Sunday. If he can’t go, rookie Eric Ebron will take on more responsibilities. — Safety James Ihedigbo had a full practice on Wednesday and didn’t suffer a setback. All indications are that he will play in his first game of the season on Sunday. — Caldwell confirmed what the media expected when he said he’s never been on Twitter and Facebook and never will. Corey Fuller, the Lions wide receiver, likes to watch his brothers play football on television in the privacy of his own home. “I get a little excited so I save the embarrassment and stay at the house,’’ Fuller said. 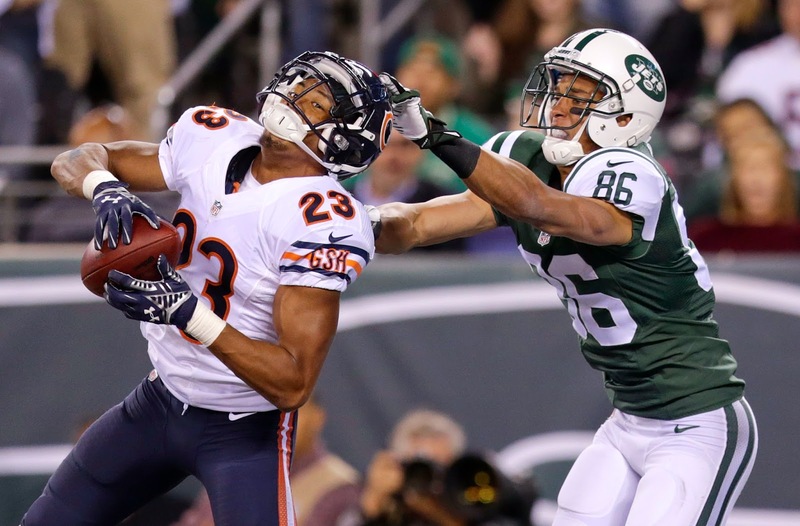 Since Bears cornerback Kyle Fuller is his younger brother, Corey has had plenty to get excited about. The Bears rookie cornerback has three interceptions in his last two games — two in the Bears’ win over the 49ers and one in the win over the Jets on Monday night. The two brothers will meet when the Bears play at Ford Field on Thanksgiving. Corey Fuller had his first NFL reception — a 52-yarder — on Sunday in the win over the Packers. “How many people get to say they can play their brother in the NFL on Thanksgiving. My mom and dad are definitely coming, my youngest brother has a game that Friday,'' Corey Fuller said. Kendall Fuller is a cornerback at Virginia Tech where all the Fuller brothers played. The oldest, Vincent, also played in the NFL, mostly with the Tennessee Titans. Corey said his parents try to get to two games every weekend. Martin Mayhew could have saved them some travel miles by drafting Kyle Fuller who went 14th to the Bears. But instead the Lions drafted tight end Eric Ebron at No. 10. ALLEN PARK — Calvin Johnson sat out of Detroit Lions practice today (Wednesday) with an ankle injury. It was the first practice he’s missed this season. Johnson finished Sunday’s game, but at one point late in the game he was on the trainer’s table and it looked like they were working on his ankle. Johnson wouldn’t address the injury in his presser prior to practice. Right tackle LaAdrian Waddle (calf) returned to practice, but was limited. 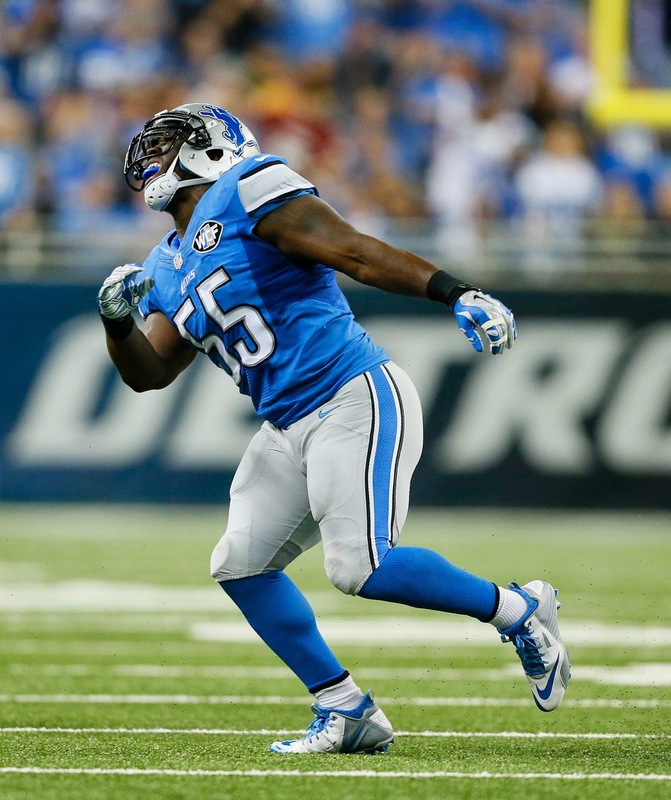 Also limited were Joique Bell (knee), Ziggy Ansah (knee), Nick Fairley (biceps) and Montell Owens (hamstring). Along with Johnson, Travis Lewis, Don Carey and Cassius Vaughn did not practice. Calvin Johnson was named the recipient of the Ed Block Courage Award earlier on Wednesday. The award annually goes to a Lions player who exemplifies sportsmanship and has overcome injury and/or adversity to excel on the field. Last season Johnson battled through knee and finger injuries. Join me at 3 p.m. on Thursday for a chat discussing the Detroit Lions (2-1) who play at the N.Y. Jets (1-2) on Sunday. It should be a defensive battle with Detroit's No. 1 ranked defense and the Jets at No. 2. Bring your questions. It's always a fun time. 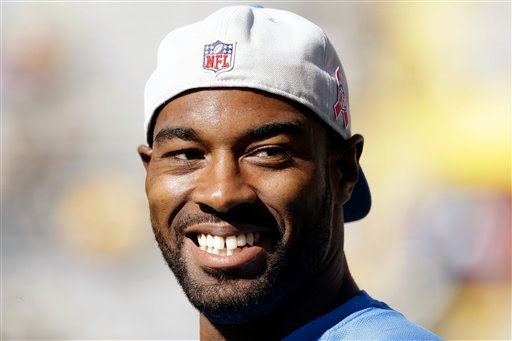 ALLEN PARK — Calvin Johnson will receive the Detroit Lions’ 2014 Ed Block Courage Award at a dinner on Oct. 28 at Ford Field. The annual Courage House dinner will feature coach Jim Caldwell as the keynote speaker. The dinner benefits HAVEN, an Oakland Counter center for the prevention and treatment of domestic violence, sexual assault and child abuse. More than $2 million has been raised for HAVEN at previous dinners. Johnson played with finger and knee injuries through the 2013 season. Wide receiver Nate Burleson was the 2013 Lions’ recipient. For information on tickets go to DetroitLions.com. The biggest question about the Lions’ defense three weeks ago involved the cornerbacks. After three games, Darius Slay and Rashean Mathis have stepped up. There’s work to do, but they’re off to a solid start. After three games the Lions’ defense is ranked first in the NFL allowing just 244.3 yards per game. The pass defense is third in the league allowing 180.7 yards per game. The leadership of the 34-year-old Mathis cannot be overlooked. “One of the things that is very difficult for individuals to notice is the impact that Mathis has on games. He’s a real settling force for those guys out there,’’ Caldwell said after the win over the Packers. It’s not just Mathis’ play on the field that Caldwell likes. “During the course of the game, you can see him communicating back and forth, making certain everything is in place, but what he does in practice and the meeting rooms, he’s absolutely invaluable,’’ Caldwell said. Slay, in his second season, has shown great improvement over his rookie year. Thanks to injuries the Lions have used four nickels. The first two — Bill Bentley and Nevin Lawson — are gone for the season. Don Carey injured his hamstring again early on Sunday although the severity is not known. Danny Gorrer, who signed last week, stepped in against the Packers. 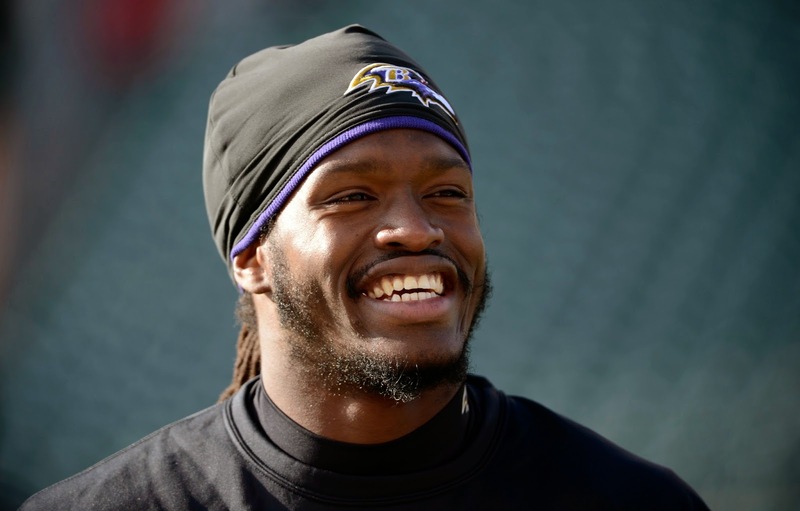 Inside linebacker Josh Bynes was signed to the Detroit Lions’ active roster off the Baltimore Ravens practice squad, the Lions confirmed today. The move was first reported by The Baltimore Sun’s Aaron Wilson. The Lions had an open roster spot after placing middle linebacker Stephen Tulloch on injured reserve after he tore his ACL in Sunday’s 19-7 win over the Packers. Bynes, who is 6-foot-1 and 240 pounds, started six games and played in 15 in 2013. He had 45 tackles and three pass break-ups. Lions defensive coordinator Teryl Austin was the Ravens secondary coach last season so obviously he knows Bynes and, in turn, Bynes knows the defense. 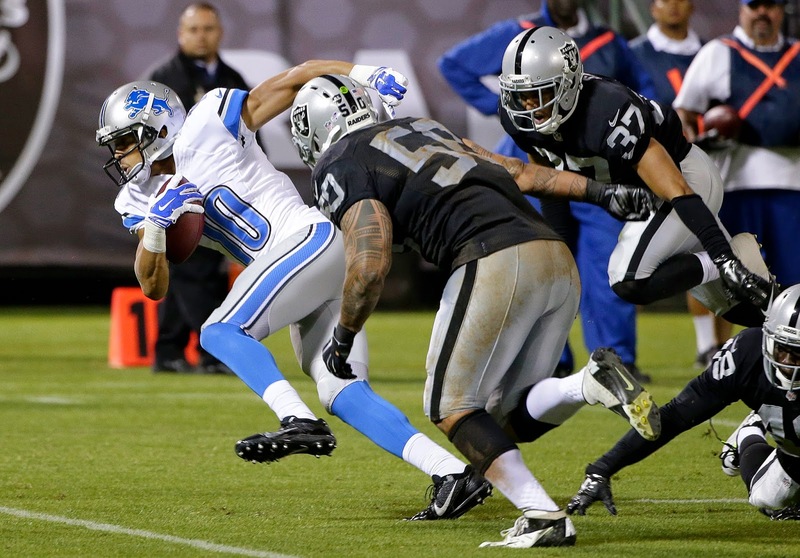 Expect Bynes to compete with Tahir Whitehead to fill Tulloch's cleats at middle linebacker. Bynes, who was a teammate of Nick Fairley’s at Auburn, was signed as an undrafted rookie free agent by the Ravens in 2011. You might remember him from Super Bowl XLVII when he tackled Ted Ginn Jr. after a free kick in the final seconds of the game to clinch the big win for Baltimore. The Lions also signed DB Josh Victorian to their practice squad. They had an opening after elevating Mohammed Seisay to the active roster on Saturday. Victorian was undrafted out of Louisiana Tech in 2011. He was originally signed as a free agent by the Ravens. ALLEN PARK — With middle linebacker Stephen Tulloch out for the season with a torn ACL, the Detroit Lions defense will obviously have to make adjustments. Coach Jim Caldwell on Monday said they haven’t determined if DeAndre Levy will take over Tulloch’s spot. Levy filled in for the final three quarters in Sunday’s 19-7 win over the Packers and played incredibly well. The only hitch was getting the microphoned helmet to work initially. Even then Levy maintained his poise and had the defense running smoothly. “We’ll look at all of our options and see what happens,’’ Caldwell said on Monday. It seems Levy would be the logical choice. Tahir Whitehead, who plays on the outside, is much less experienced on the defense. In fact this is his first season getting defensive snaps. Ashlee Palmer, who also plays the outside, has never played in the middle for the Lions. Travis Lewis is the backup middle linebacker on the depth chart, but he wasn’t active on Sunday because of a groin injury. Rookie outside linebacker Kyle Van Noy is on short-term injured reserve which means he can’t start practicing until after the sixth game and can’t play until after the eighth game. In fact any linebacker that has been with the Lions since 2010 has not played in the middle because Tulloch had never missed a game. Placing Tulloch on IR creates a roster spot so the Lions could sign a free agent. It just makes sense, though, that they’d stick with Levy in the middle after Sunday’s performance. ALLEN PARK — Detroit Lions linebacker Stephen Tulloch will be out for the season after he tore his anterior cruciate ligament in Sunday’s win over the Green Bay Packers. Coach Jim Caldwell confirmed the injury at his Monday press conference. Tulloch sacked Aaron Rodgers in the first quarter, jumped up and celebrated imitating the discount double-check and then falling over. He got up and was back on the field, but two plays later he was down. He didn’t return in the game. Caldwell talked to Tulloch after the game. Tulloch until Sunday was the Lions’ Ironman. He has not missed a game since he was drafted by the Tennessee Titans in 2006. The knee will require surgery which has not been scheduled. 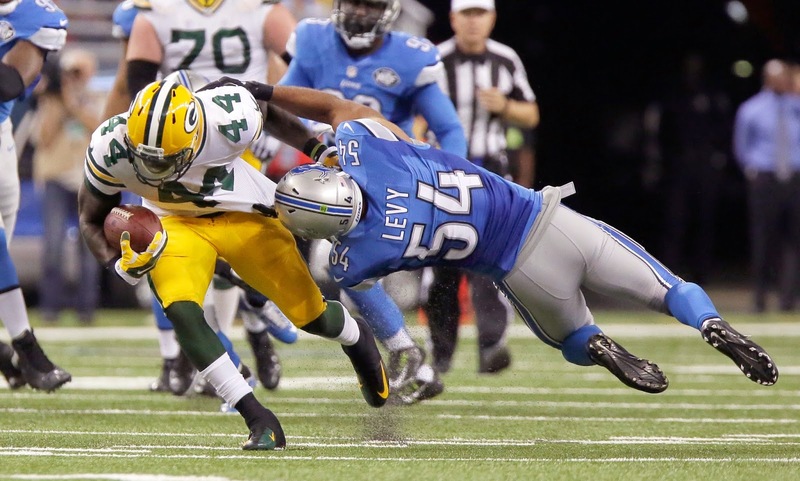 On Sunday, DeAndre Levy moved to middle linebacker once Tulloch was out. Caldwell wouldn't confirm if Levy will stay at middle with Tulloch gone. "We'll look at all of our options,'' Caldwell said on Monday. Tullloch joins the growing list of Lions who have been lost for the season due to injury including cornerbacks Bill Bentley and Nevin Lawson, along with right tackle Corey Hilliard. Linebacker Kyle Van Noy is on short-term injured reserve which will allow him to start practicing after the sixth game and start playing after the eighth game. Also, Caldwell confirmed that the Lions have signed kicker Alex Henery and released Nate Freese who was 3 of 7 in field goal attempts in the first three games. The Lions signed kicker Alex Henery Monday to replace rookie kicker Nate Freese who was a disappointment after going 3-of-7 on field goal attempts in the first three games. Freese, a seventh-round pick in May’s draft, beat out Giorgio Tavecchio in training camp. He was 2-of-5 in the first two games. But Sunday he was 1-of-2 with a miss of 41 yards indoors in Sunday's 19-7 win over the Green Bay Packers. 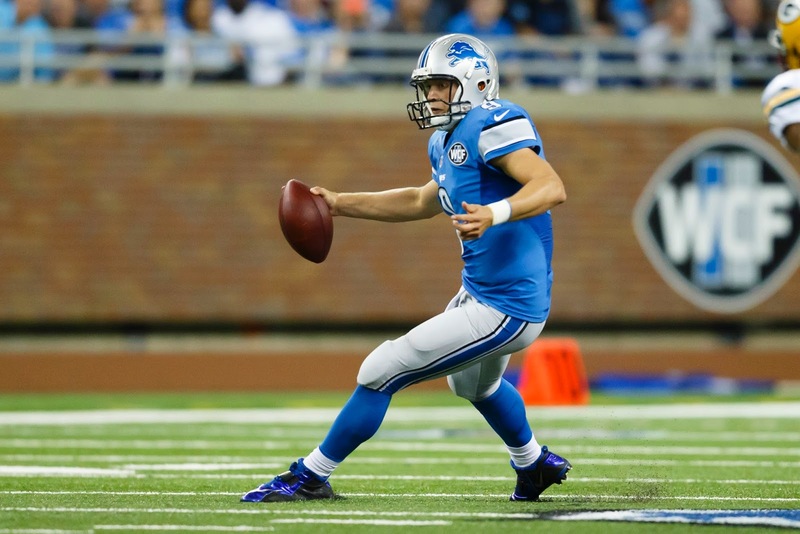 The Lions worked out several kickers last week but ultimately gave Freese one more Sunday. Henery spent the last three seasons with the Philadelphia Eagles. He was 23-of-28 on field goal attempts in 2013 with a long of 51 yards. In his three-year career in Philadelphia he was 74-of-86, an 86-percent success rate. Henery was cut in August after he was 1 of 3 on field goals in the preseason. Henery played for Nebraska where he set an NCAA record for field goal accuracy with a 89.5 success rate. The 27-year-old Henery was one of three kickers who worked out for the Lions last week. Caldwell cannot pinpoint what happened to Freese who didn’t miss a field goal in his senior season at Boston College. Caldwell still thinks Freese still has a chance to make it as an NFL kicker. Of course the Lions were spoiled for 21 years after they drafted Jason Hanson in the second round of the 1992 draft. Henery will join three other Lions who went to Nebraska — Ndamukong Suh, Dominic Raiola and Mohammed Seisay. DETROIT — No weak links. That's the motto of the Detroit Lions' defensive line. Defensive end George Johnson came out of the tunnel on Sunday in pre-game introductions wearing this huge chain around his neck composed of 10 links. It’s a new learning tool used by the defensive line this season, courtesy of Kris Kocurek and Jim Washburn who coach the defensive line. Nick Fairley explained the concept following the Lions’ 19-7 win over the Green Bay Packers on Sunday at Ford Field. The day before each game in a meeting, each defensive lineman is given a link for the chain. Each guy speaks up, says why he won’t be the weak link and passes it around the room, adding each link as it's passed around. Pretty basic stuff, but the chain kind of solidifies the idea. The defensive line also cane out of the tunnel together instead of being introduced individually. They did the same thing last Thanksgiving against the Packers. They won that game too. It worked on Sunday. The defensive line pressured Rodgers all day long, holding the Packers’ offense to one touchdown. Fairley was asked to analyze the defensive line after three games. DETROIT — Defensive ends Ziggy Ansay (knee) and George Johnson (groin) are active for the Lions vs. Packers today. Both had been listed as questionable on Friday’s injury report. It’s been mostly bad news for the Lions secondary regarding injuries the first two weeks, but safety Don Carey returns today to play in his first game this season. He’ll back up Isa Abdul-Quddus (who will start for James Ihedibgo) and Glover Quin. Carey can also play nickel. Ihedigbo, who missed the first two games with a neck injury, is also inactive. He was listed as doubtful on Friday along with fullback Montell Owens (hamstring) who is also out. Cornerback Cassius Vaughn (ankle), right tackle LaAdrian Waddle (calf) and linebacker Travis Lewis (groin) were ruled out on Friday. Garrett Reynolds will start for the second straight game at right tackle. Other inactives are quarterback Kellen Moore and Ryan Broyles. On Saturday the Lions signed cornerback Mohammed Seisay from the practice squad so they could have four corners today. To make room on the roster they released wide receiver Kevin Ogletree who had been inactive the first two games. Note: Kicker Rob Bironas, who tried out for the Lions last week, was killed in a car crash Saturday night near his Nashville home. The Lions needed to make a roster cut if they were going to sign cornerback Mohammed Seisay from the practice squad to the 53-man roster. They released wide receiver Kevin Ogletree on Saturday. The Lions confirmed earlier reports on Saturday night. With cornerback Cassius Vaughn (ankle) out for Sunday’s game against the Packers, the Lions were down to three cornerbacks — Rashean Mathis, Darius Slay and Danny Gorrer who was signed as a free agent this week. Seisay, an undrafted rookie out of Nebraska, had a good preseason and knows the defense. The coaches like his length (he’s 6-2) and his speed. 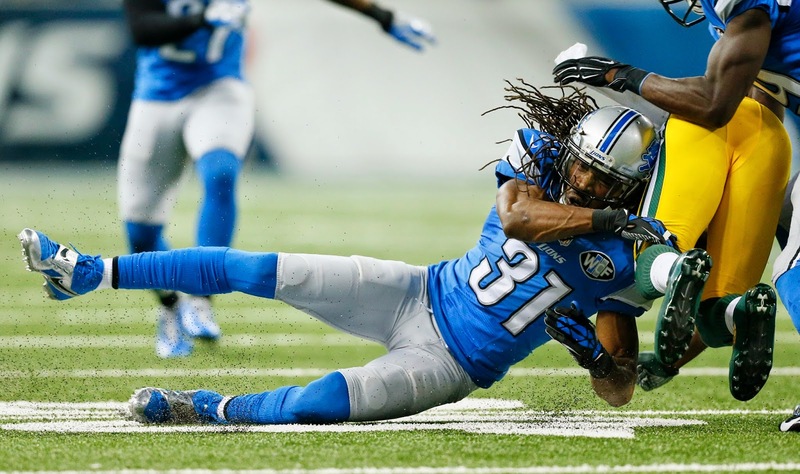 The Lions have lost cornerbacks Bill Bentley and rookie Nevin Lawson for the season. Safety Don Carey is expected to play his first game of the season on Sunday. He could step in and play nickel. Gorrer played for coach Jim Caldwell at Indianapolis and Baltimore so he’s somewhat familiar with the defensive scheme. His first practice was Wednesday. Ogletree had been inactive the first two games along with Ryan Broyles. To start the season, the Lions have just been keeping four wide receivers active for games — Calvin Johnson, Golden Tate, Corey Fuller and Jeremy Ross who also is the returner. 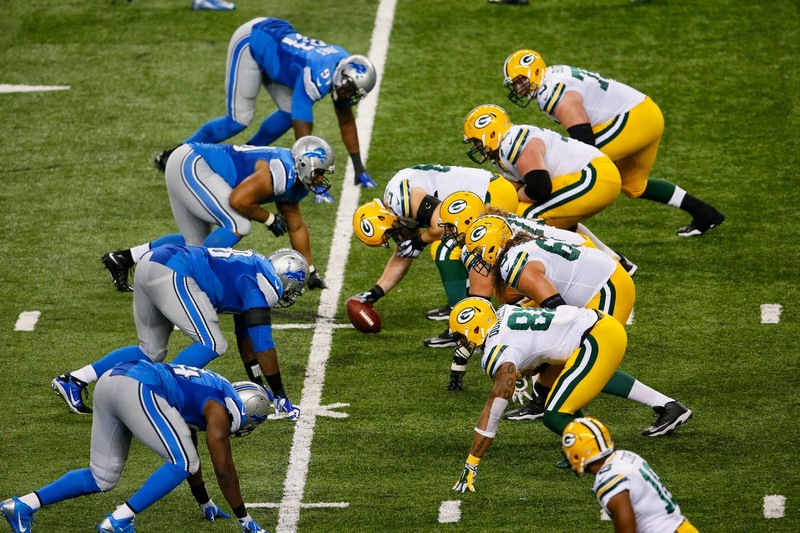 It has been six years since the Detroit Lions (1-1) and the Green Bay Packers (1-1) met this early in the season. Kickoff is 1 p.m., Sunday at Ford Field. 1. Get off to fast start. It’s not a good idea to get in a hole against any team — especially the Packers and quarterback Aaron Rodgers. 2. Stay with the run game. Offensive coordinator Joe Lombardi said that looking back he wishes he had stayed with it longer on Sunday in the loss at Carolina. In the opener, he showed patience and it paid off in the fourth quarter with a seven-minute, 80-yard, clock-eating touchdown drive. 3. Convert in the red zone. With kicker Nate Freese on shaky ground (he should be better indoors, shouldn’t he? ), it’s key to make the most of trips inside the 20-yard line. 4. Pressure Packers' Rodgers early and often. The more uncomfortable the front seven can make him, the easier life will be for the banged-up secondary. 5. Get the ball to Calvin Johnson. Everyone else too, but Johnson is key. Prediction: Lions 35, Packers 28.